Poland – Scandinavia’s strategic hub? 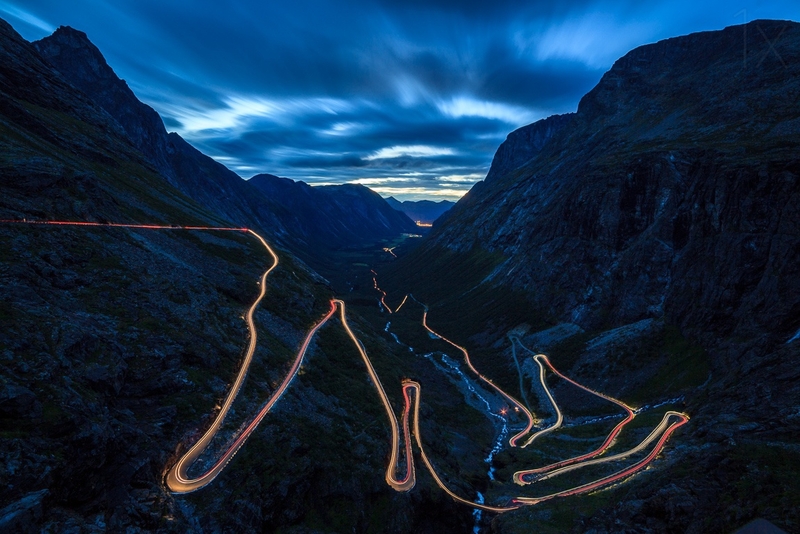 What is crucial in the planning of transport to even the most remote corners of Scandinavia? For those who are interested in finding the answer to this question, I recommend the series of five articles which will follow on the specifics of transport in such countries as Norway, Sweden, Finland and Denmark. 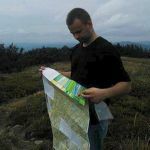 The first step in planning, not to mention loading, is to select an appropriate way of getting to the other side, one which will allow us to travel from continental Europe to Scandinavia. Mostly, this is done by ferry, although the other option across the Danish Straits is via the Storebaelt and Oresund bridges. 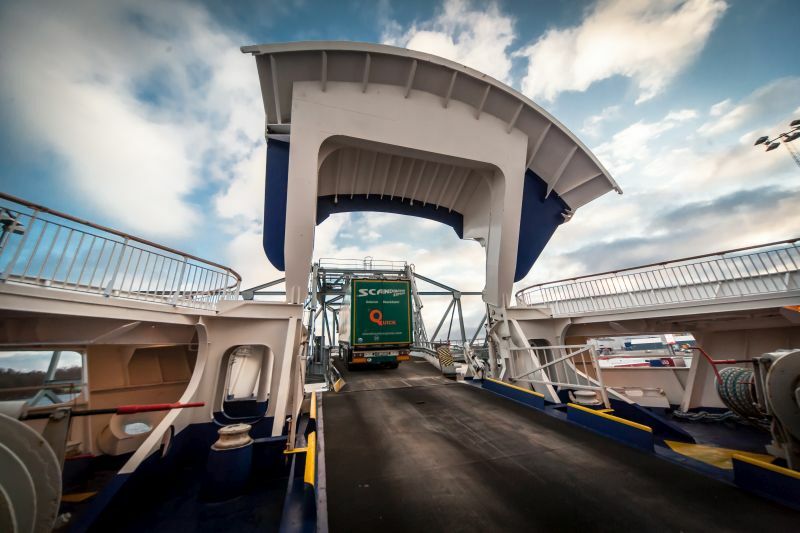 The decision on which type of crossing to Scandinavia should be chosen depends on several factors, including the mileage, ferry or bridge fees, the availability of cargo space on the ferry, or the agreed Transit Time. Booking the vehicle onto the next ferry which can offer a confirmed space, often resulting in a delay in delivery. Sending the vehicle to another port where there is a chance for a faster sea crossing. Sometimes a port 400 km away has more favourable weather conditions or the ferry owner can offer vessels with a different naval prowess. The technical conditions of the port may also have an impact on whether ferries are able to set off in difficult conditions. 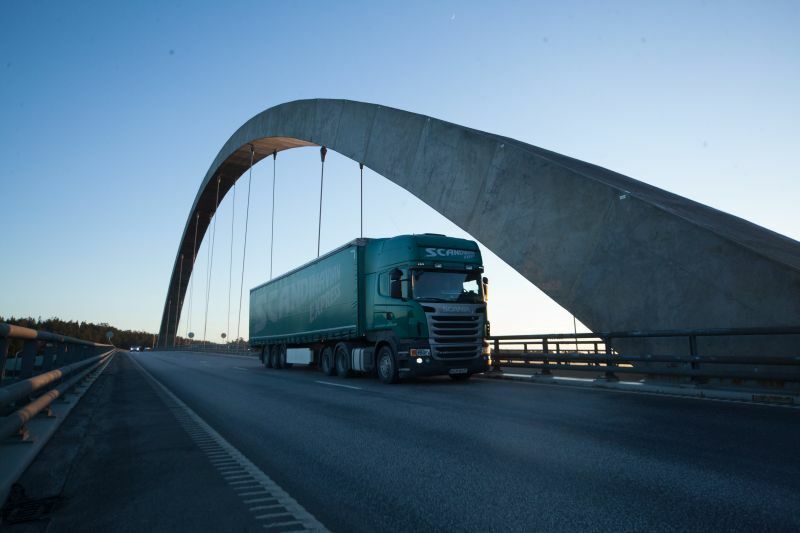 Sending the vehicle by the circuitous E20 route through Denmark, allowing the load to reach Scandinavia "on wheels." In this case, we must remember the two bridges over the Danish Straits: the fees for crossing them have a significant impact on the costing, and the additional mileage of this arrangement often means several hundred extra kilometres. The optional solution may also be a ferry on the E47 route from Germany to Denmark and then through the Øresund Bridge. In the case of import deliveries to customers in Western Europe, the third solution is often a sensible step, while in the case of deliveries to Central and Eastern Europe, it is not. Any alternative decision requires the planner to analyse the situation in terms of the costs and customer satisfaction. Recently, we undertook an export transport project from Poland to Norway. The loading took place in Wroclaw on Friday and the customer expected the unloading on Tuesday morning at the latest in the town of Ålesund in Norway. The delivery time was challenging, especially that the route is over 1650 km long (not including the distance covered by ferry) and the last few hundred kilometres are along dangerous mountain roads. It is worth noting that a shorter break had to be made between the loading and unloading. As it often happens in the planning business, the factors involved do not always go according to plan. This makes the profession so much more interesting. It draws you in like a good strategic game - every self-respecting traffic planner must keep an open mind and be ready for new unconventional solutions. The situation concerning the goods transported from Wroclaw required this kind of thinking outside the box. To make the delivery happen by Tuesday morning, we needed both a driver who could shorten his break to 24 hours, and a semi-trailer truck with appropriate tires (Norway has strict requirements regarding tires; this issue will be mentioned in the next article). The closest truck with a driver meeting these requirements was in Sweden, near Malmö. The loading was on Friday in Wroclaw and our vehicle A was in that area, while the nearest vehicle B which could reach Ålesund on Tuesday morning, was currently being loaded 700 km away on the other side of the sea. Fortunately, the unit in Wroclaw (vehicle A), had a trailer with tires meeting the Norwegian requirements (although not having these tires would not have ruined our chances). We decided to do the loading on Friday and travel to the port of Swinoujscie to send our semi-trailer to the driver (vehicle B), who was at that time already taking a 24-hour break in the destination port of the ferry from Swinoujscie. During the loading, it turned out that the departure from Swinoujscie, as well as from the German port of Sassnitz, would be delayed and there was a high risk that all crossings during the weekend would be cancelled. Such a scenario would have completely destroyed our chances of a timely delivery, which we were not going to allow to happen. We began to examine other alternatives and discovered that the weather conditions in Gdynia and Karlskrona could delay the arrival of the ferry by several hours, but there was no risk that the departure would be cancelled. Vehicle A from Wroclaw was redirected to Gdynia. 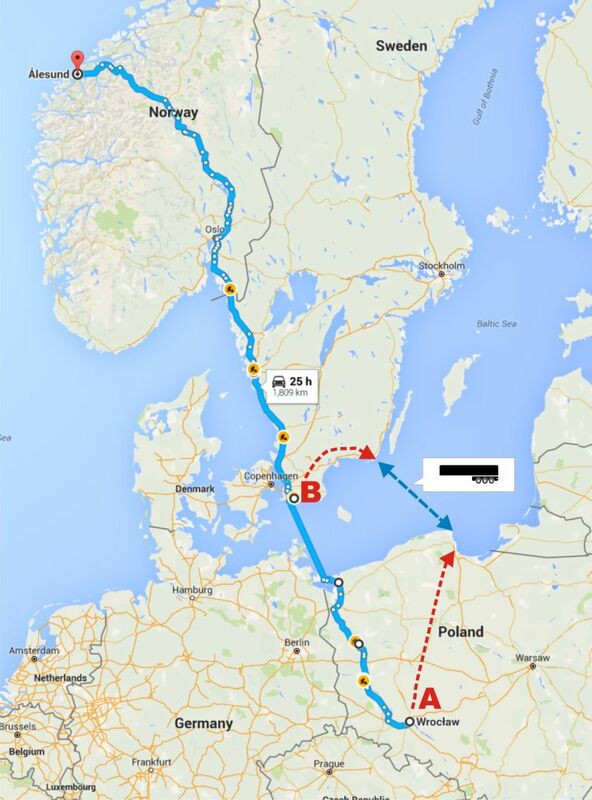 What about vehicle B in Sweden which was to wait for the trailer sent from Swinoujscie? The driver had to cover a distance of about 200km. 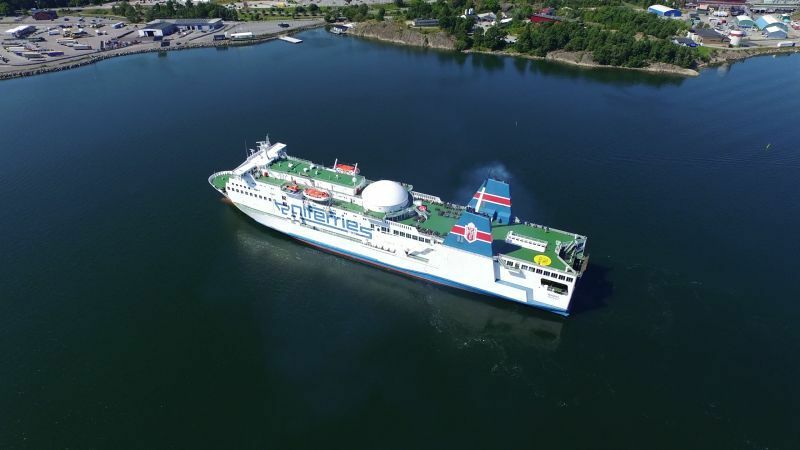 We had two options, the first one was to go "empty" to the ferry terminal in Karlskrona, the second option - going along with the saying that "as long as you fight, you're a winner" was an attempt to optimize costs. Thus we delegated one of our forwarders to the task of finding a load travelling to Poland. Luckily, we managed to find such a load and consequently we could exchange a trailer for a trailer. In transport, we deal with very high costs and low margins. It is especially true in terms of routes to Scandinavia, where costs further grow due to various factors, such as a shortage of return loads, the ferries, special tires, large fuel consumption caused by mountainous roads of various types and so on. Decisions undertaken on the operational and strategic levels of planning should be preceded by an analysis of a lot of data - taking into account the specificities of the country - which I will be happy to present in the articles that follow.